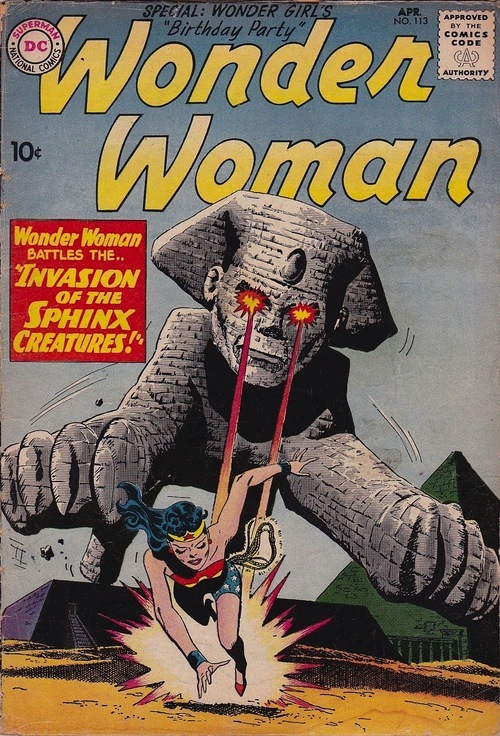 Given that a sphinx is already known to be a creature, it seems kind of redundant to call it a “sphinx creature.” Like, I don’t go around calling my cats “cat creatures,” right? Lois Makes Out With the JLA. Rex the Wonder Dog: More Dead Than a Hand Grenade.